Yay! 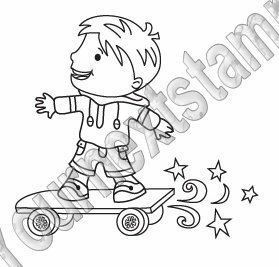 I have another Your Next Stamp Challenge today! This time our hostess is Crystal and our challenge is "So Charming" - use a charm on your creation. This card may look a little familiar because I did one very similar using the same rose and sentiment from the Garden Greetings set, and also using Copics on Kraft cardstock. I really loved that look so I decided to try it again using a range of 4 pink and 4 green markers. The charm is one I got a while back from eBay and I tied a tiny silk ribbon bow for the top. The sketch is from Card Positioning Systems. Hi everybody! I have a bunch of Your Next Stamp news to share with you, so I hope you'll settle in and stay with me for the whole post! First up, we have a bunch of new releases for April! Please head over to the YNS blog to check out all the new release creations and enter the contest (but come back here if you'd like the details of my card)! Enter your name into the Linky there for a chance to win a YNS new release prize pack! There's also a new release sale going on now - you can get 10% off your order until April 22 at midnight, just use the code YNSAPRIL10. And speaking of sales... Karen has started something new over at the YNS Store: Weekly Specials! Every Sunday she’ll post a new stamp or stamp set in the weekly special section. This stamp or stamp set will be offered at a special price PLUS she's removed the shipping charges on this stamp or stamp set. The offer will be available all week or while quantities last and all the details are available on the YNS website. The special this week is the Good Morning Fhiona set (formerly known as Bad Hair Day Fhiona). My final bit of news - you can now get Sampler Packs from YNS! There are sampler packs of paper, buttons, brads as well as a variety pack of gems! This is a great way to get more variety for less money! 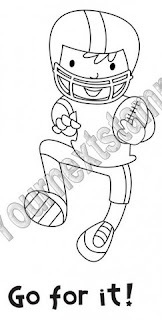 What a great new addition to the YNS store!! I used the pretty new Hummingbird Beauty set, a couple patterned papers from an SEI paper pad and FTL #136 from Clean & Simple Stamping. I hope you like it and don't forget to swing by the YNS blog so you can drool over all the other fab new release creations! TFL! I switched my day to post on the YNS Blog from Thursday to Sunday (late night on Saturday in Hawaii) so that's why this post is showing up today! A bit of news: YNS is sponsoring the Scrappy Saturday Challenge and the theme is "All things adorable." 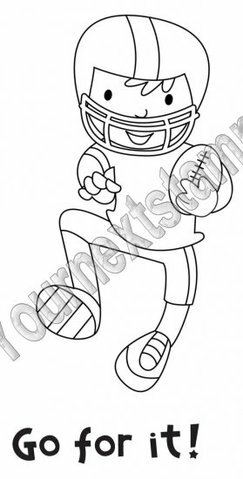 Please play along - you could win a stamp set from YNS! Since it's almost Easter, I decided to use Easter Bunny Fhiona, this time actually leaving her as a bunny. But I did have to have some fun, so I made her dressed as a chocolate bunny! I stamped Fhiona on a white cardstock circle and colored her face and basket with Copics and colored pencils/odorless mineral spirits. Then I paper pieced the bunny outfit on some (fittingly) Bo Bunny patterned paper and cut the pieces out, gluing them over the stamped image. BTW, the outfit was shaded with colored pencils and OMS also. I used the new A Good Friend set and FTL #135 from Clean & Simple Stamping. I didn't realize these colors would be so hard to photograph - please excuse how weird they look! I tried to use a bunch of different textures: heat embossing for the bag, dry embossing on the pink background cardstock, Strawberry Cupcake Trendy Twine for the bag handles, tissue paper in the bag, a rose I handmade from Prima flowers and a pearl on the bag center, distressing on the piece edges, and a bunch of machine stitching. Whew! That's a lot of texture! YNS Surprise Release Blog Hop! Welcome to the Your Next Stamp Surprise Release Blog Hop! If you didn't arrive here from Diana's blog, please CLICK HERE to go to Karen's blog and begin hopping! The hop starts today (Friday, April 8th at 8:00 EDT) and ends on Sunday, April 10th at midnight (EDT). So what's this surprise hop about? You may remember that last year Karen was approached by Lisa (owner of ScrapFest in Ontario) to design an exclusive stamp for ScrapFest October 2010. Well, Karen was asked to design another exclusive YNS stamp for this weekend's Kitchener ScrapFest so we're having a hop to celebrate! Woohoo!! 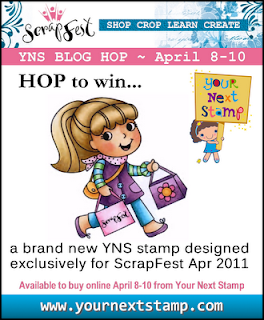 Both of the exclusive ScrapFest stamps will be available to buy at the YNS booth at ScrapFest or online from the YNS store for the duration of the hop only! And as an added incentive, Karen is offering both stamps at a special price of only $6 each, AND you also get FREE SHIPPING for your entire order - use code SF2011 when checking out. As always here at YNS, we have a wonderful prize for you to win! One lucky winner will be drawn at random from the linky list to receive both ScrapFest stamps (Cropper Fhiona and the brand new Shopper Fhiona)! 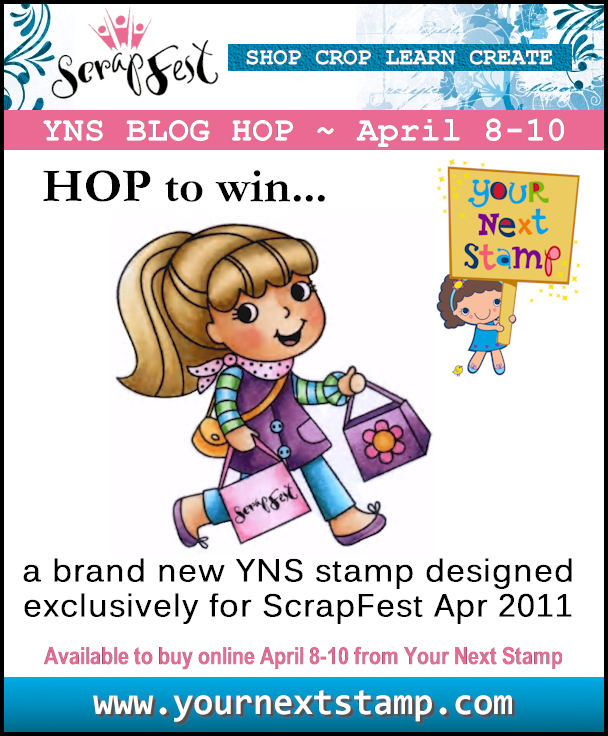 If you purchase one or both of the ScrapFest stamps and happen to win the prize draw, you will be given a $6 or $12 credit to spend at the YNS store as your blog hop prize instead! It's not a requirement for you to comment at every stop along the hop to be eligible to be entered into the prize draw, but the DT would sure love to hear what you think of our ScrapFest creations! Isn't that sentiment too funny? And I love all the different shopping bags! BTW - Kerri made the cutest pocket tag with this set and even posted a tutorial which you can find HERE. I also have another project using this set and will be posting it and a tutorial on the YNS blog in the near future - watch for it! The pull-up idea isn't mine (it's been around for years) and I adapted this tutorial to my gatefold card. One little thing I did differently was to put the GC with twine into the right hand side of the card, insert the twine through the holes, then glue the bottom and side around the GC to make sure the fit wasn't too tight (hope that makes sense). If you glue the GC pocket flat, it will be really hard to slide the GC in and out of the pocket. The twine is Strawberry Cupcake Trendy Twine - love this twine!! I also used it for the bow in her hair and her bag handle. Lastly, the sentiment was computer generated. It's a double stair step card (but this is different than the stair step card familiar to most stampers) - it's made with an electronic cutting machine. I was inspired by this post and this post both from Capadia Designs. I used Make the Cut software to design the card and cut it with my machine. I also cut the "'til you" words with the machine. The panel that Cropper Fhiona is on lifts up to reveal a space to write a message. And I hope you can see that her bag handles are made from the same Strawberry Cupcake twine as the Shopper card. Thanks so much for hopping with us today! I hope you enjoy our Surprise Release Hop!